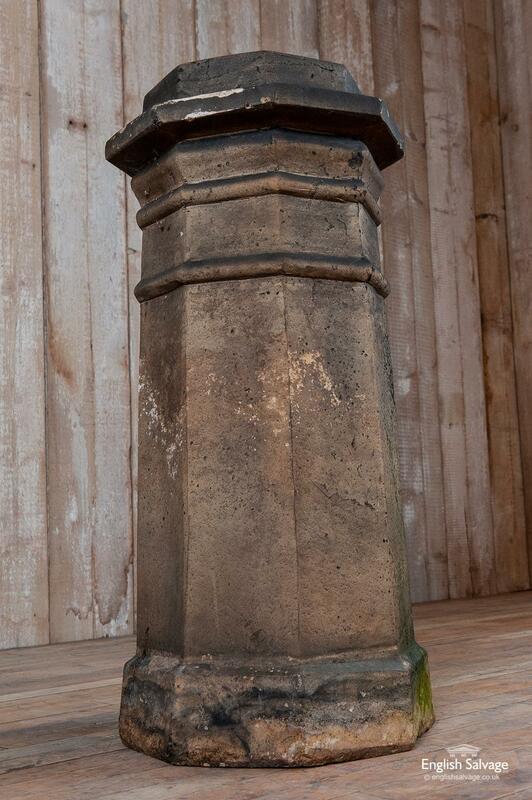 Reclaimed octagonal buff-coloured chimney pot. 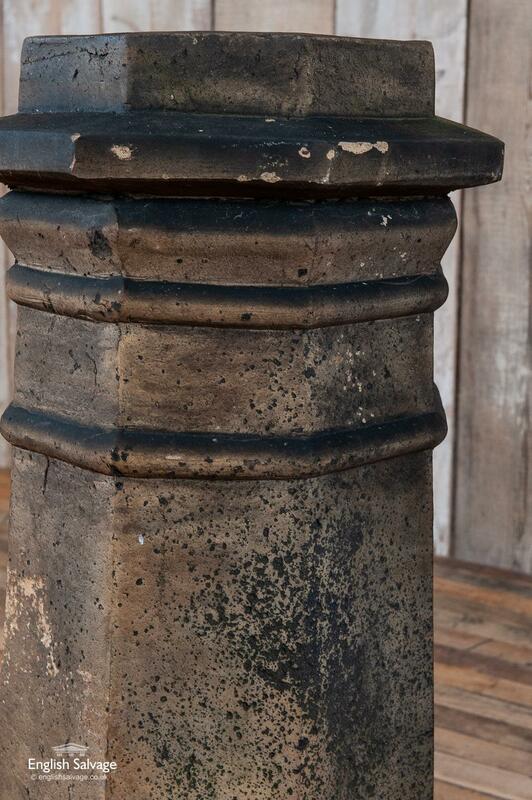 It has weathered and as is to be expected with a hard-working item of this type has age-related pitting as well as small chips and scuffs throughout, Moss and smoke marks add to its aged appearance. 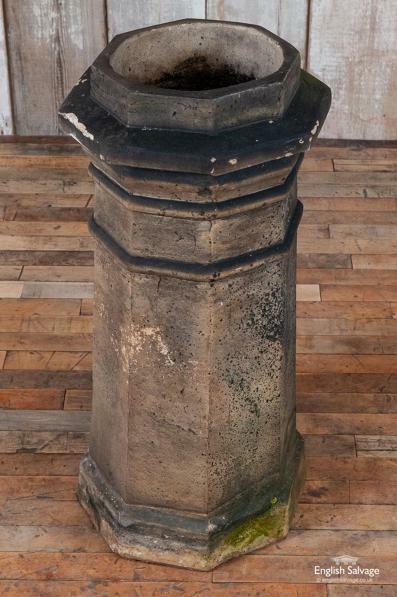 The opening is 21cm in diameter.